"Mom you are so dearly missed. Hope to see you again one day. I Love You So Much. Your always in my heart Love you always your Daughter. Krystal Palmer "
"I'm still in a state of shock my friend. I just can't believe your gone. I'm so glad your not in pain anymore. I will so miss our breakfast togethers and sitting around just talking about anything and everything. I love you and will truly miss you!! Janet Wheeler "
"Thanks for adopting,loving,and playing with us.You were the purrfect mom! We love and miss you. Buster, Oreo, and Cleo." "Our deepest condolences to her family. I'm Jim's niece and had the pleasure of meeting Deb last summer and it was apparent she and Jimmy loved each other very much. She will be greatly missed." "You will always be a second mother to me.i will cherish all the memories I had in Florida with your daughter and my best friend..so sorry I couldn?t see you again after not seeing you for so long.i love you and miss you.rest in peace.."
"I will love you always. Will never forget all the wonderful times we had together. They ended way too soon.May you rest in peace.God bless you. Jim"
"Love you and miss you so much Aunt Deb Deb, thankful for everything you?ve ever done and I will forever cherish all of the awesome memories we made together. Until we meet again ?? 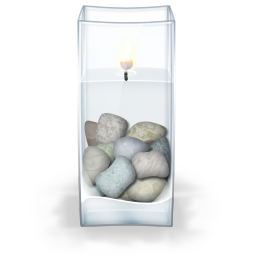 KatieBug "
"Our deepest condolences to the Horton family and friends from Kay Waites and staff at Sound Choice Cremation & Burials."